If four new films set in the Avatar universe weren’t already enough, Ubisoft is partnering with James Cameron’s film studio and Fox Interactive to create a new Avatar game. Announced today at GDC 2017, Ubisoft says that the upcoming project will “expand and deepen in the Avatar universe in exciting and innovative ways along with the films” ... though, after five films, a theme park, a graphic novel adaptation, a previous Ubisoft-made video game and a few mobile apps, it’s hard to imagine the series expanding anymore. The game is set to be developed by Massive Entertainment, a Ubisoft-owned studio that some may recognize for its work on 2016’s The Division, but has also worked on Far Cry 3 and Assassin’s Creed: Revelations. Like The Division, the game will use Ubisoft's proprietary Snowdrop Engine, which apparently really impressed the award-winning film director. 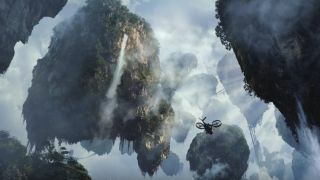 "With the power of Massive's Snowdrop game engine, and with the team's passion and obsessive focus on detail, we know they're the right group to bring the beauty and danger of Pandora to life," Cameron says in the game’s announcement trailer. That’s high praise – but that’s also coming from the guy who says the Avatar sequels will make you soil yourself while smiling. Skeptical? Watch the announcement trailer for yourself down below.